The DP20T is a heavy duty, maintenance free low pressure transmitter designed for fabric filters, cyclones, powder processes and low pressure particulate laden pipes. The unique flush/ported design enables configuration for either differential or static movement. The ability to transmit accurate measurements below 10 W.C., over a broad temperature range without clogging, makes the DP20T the ideal replacement for mechanical or helical devices. 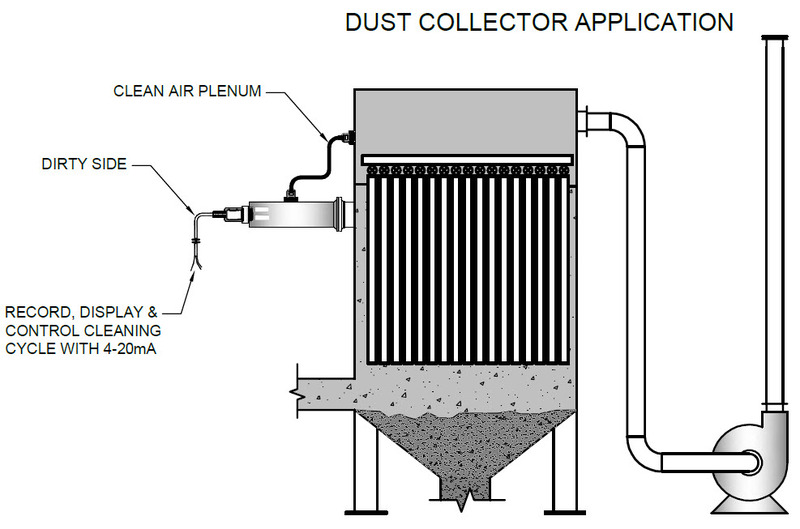 For differential measurements the flush diaphragm is mounted to the dirty or wet side of a process, such as the inlet of a dust collector, wet scrubber or mist eliminator. 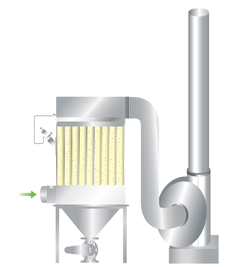 The port is used to route tubing to the cleaner side of the process such as the clean side of a dust collector or mist eliminator. For static measurement, such as in a powder conveying pipe, the port is simply vented to atmosphere. Standard output is a 4-20mA signal for connection to a PLC, DCS, PC or chart recorder. For local display and relay control, a programmable panel mount LCD gauge is available (consult factory). The DP 20T uses a state-of-the-art micro machined sensing element with temperature compensation packaged in a heavy duty stainless steel body. 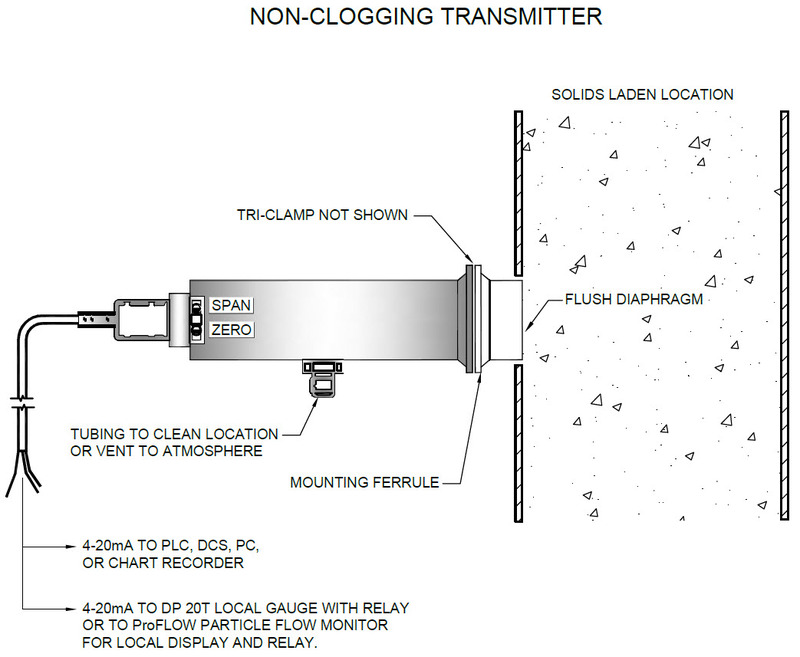 Changes in process pressure or vacuum applied to the diaphragm cause deflection in the sensing element. A precise, linear 4-20mA output signal proportional to the pressure or vacuum is produced by the circuitry. Based on zeroing at ambient. Zeroing at temperature reduces error.